I thought for today's post, I'd share with you 5 christmassy facts about what my family and I do during the festive period. 1. Go to Midnight Mass on Christmas Eve and open one present. For as long as I can remember, we have always gone to Church on Christmas Eve instead of Christmas Day. We normally spend all day doing christmassy things like watching movies, sorting out all things beauty wise (e.g. painting our nails etc) and sorting out last minute things before Christmas Day! 2. Have table presents when we eat our Christmas Dinner. We always have an extra small gift at the dinner table, normally something silly, but still it's been a little tradition in our household for a while now! My Nanna is usually in charge but this year she's away for Christmas so had left it down to my mum!!! 3. Spend one day in the lead up to Christmas watching Christmassy films and not moving from the sofa! There is always without a doubt a day where we spend hours watching Christmas movies, drinking lots of cups of tea or alcoholic beverages and eating numerous quality streets! 4. Make a Christmas playlist (obviously .. check out my favourite Christmas Songs HERE). 5. Have a Christmas Soiree! My Mum and Dad always have a little Christmas Soiree during Christmas and New Year period where some of our family friends come over for lots of drinks, festive music and games :) It's always such a nice occasion and make me feel so festive! Well, there you have it! 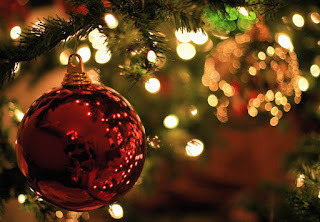 That's my 5 Christmassy facts about our household at Christmas! What do you guys do during the festive period? Do you have any special traditions that you have?